Students look forward to breaks for a number of reasons. One, breaks allow them to step out and have a change of scenery beyond the four walls of the classroom. Two, they are free to socialise with other pupils in an informal and relaxed manner. Perhaps this is the same reason students choose to spend their free study hours outdoors rather than inside the classroom or in the library. When the sun shines and the flowers are in bloom, it can be hard to resist the outdoors. When it comes to learning, there is more to the outdoor experience than meets the eye. Many contemporary institutions have transformed their classrooms into flexible learning spaces. This type of setup aims to support students who are suited to different environments and learning styles. The way the lessons are taught is dependent on the most effective methods to enable the students to absorb information. Some flexible learning spaces are designed to be more social and informal, especially if the majority of the class respond positively to this type of format. This is why outdoor school areas are maximised in flexible classrooms. According to studies, access to outdoor campus areas that are conducive to learning is one of the main factors contributing to academic achievement in both traditional and flexible classrooms. These studies have confirmed that learning outside supports growth regardless of factors such as age, personality and learning pace. Outdoor areas were described as positive given that they were well-maintained, surrounded by nature and equipped with the right furnishings. These furnishings would typically take the form of shelter solutions that help create study areas outside the classroom’s four walls. 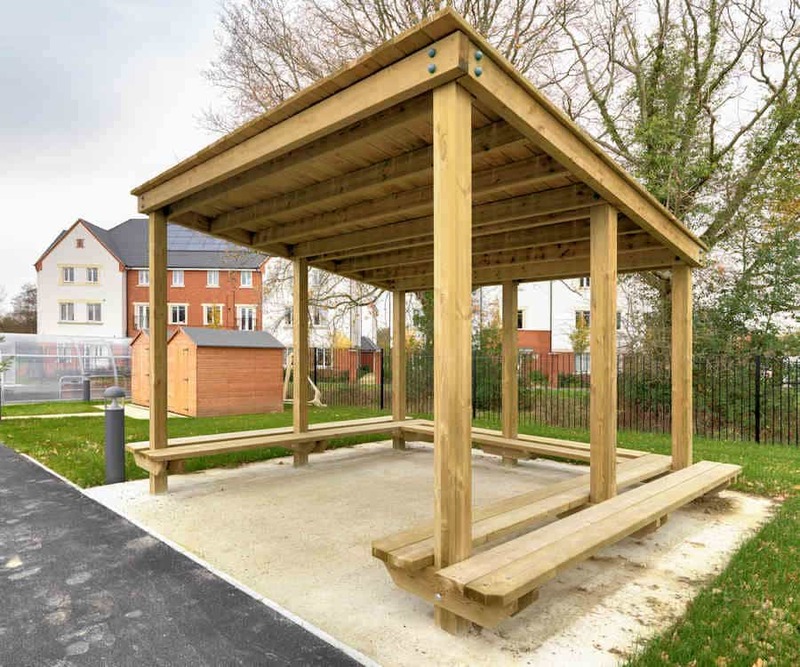 Such types of structures allow students to make the most of outdoor learning while staying protected from the sun and rain. Maximise your school’s potential to develop young minds by creating safe outdoor learning spaces. 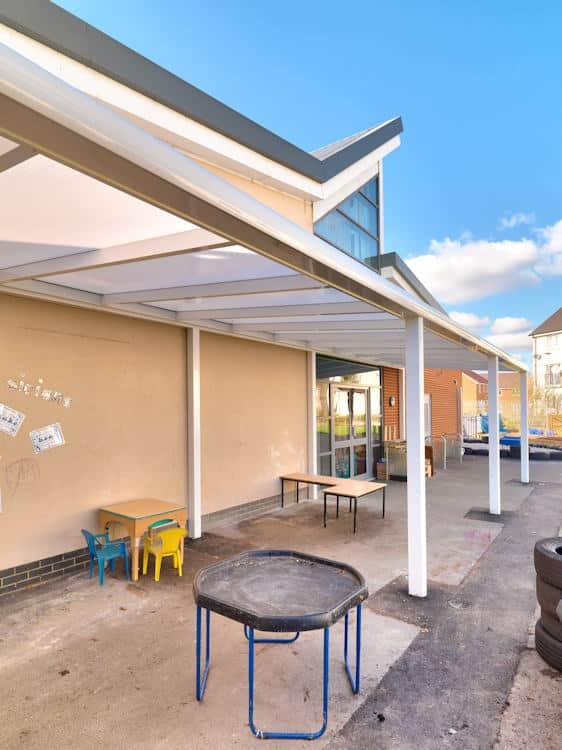 Kensington Systems Ltd offers a wide range of walkway covers and canopies for schools that serve as shelters for students who are enjoying their break, studying or socialising. 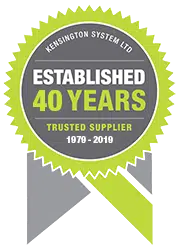 At Kensington Systems, our walkway canopies allow students to learn, explore and move around the campus grounds even during bright sunny days or heavy rain. Made from high-quality materials, our solutions are built to serve your school for years. Depending on your preferences, our canopies can have single, double or triple operation blinds ideal for a variety of applications. To better understand which type of walkway canopy best fits your school, you may take advantage of our free architects’ continuing development presentation that will cover material specifications, types of walkway canopies available, our typical applications and other useful information. We also offer a free outdoor learning consultation if you are interested in creating outdoor learning spaces within your school. Register your interest today by filling out our contact form or calling us on +44 (0)117 958 9933.